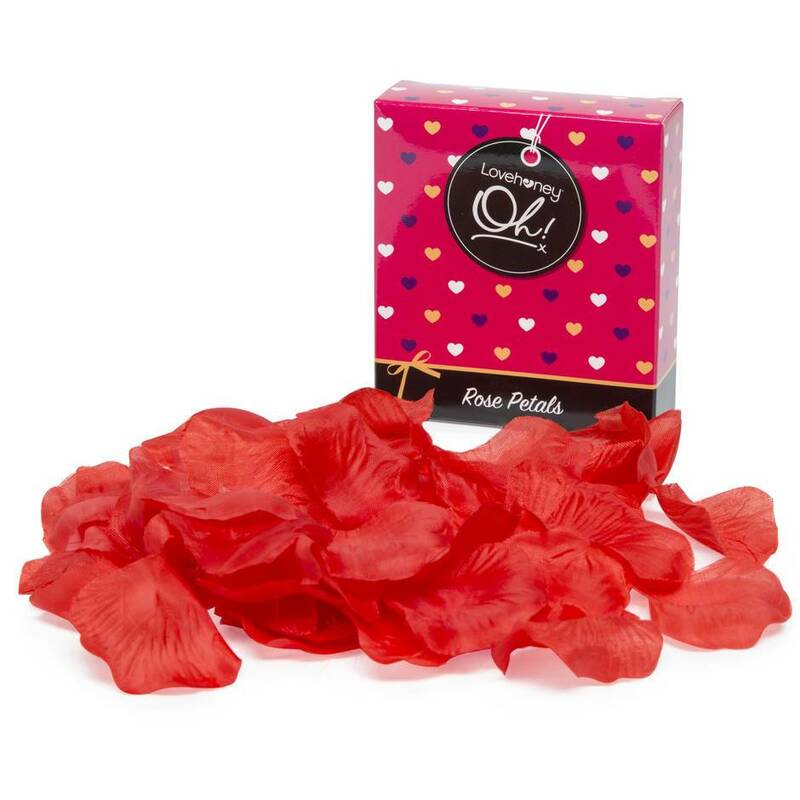 Pétales de rose romantiques rouges, Lovehoney Oh! Commander par téléphone : Appeler 01 76 75 46 06 et communiquer le numéro 46685. 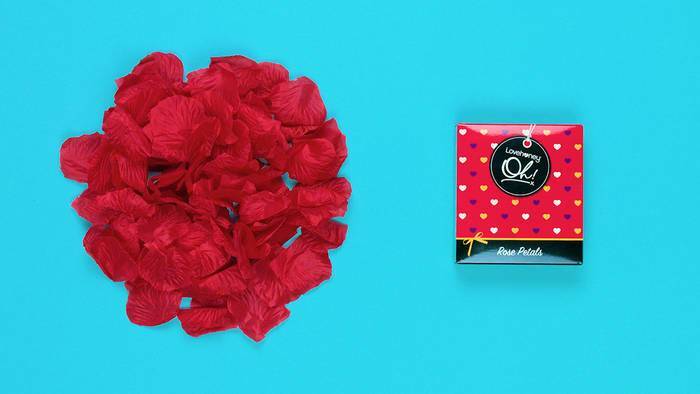 Chaque pétale réutilisable et parfumé ajoute un truc en plus en un instant, et ces fleurs-ci ne faneront pas ! Ces pétales sont parfaits pour toute occasion spéciale, ou tout simplement pour offrir à votre partenaire un moment inoubliable de romantisme. Add romantic flair to any evening with your loved one. 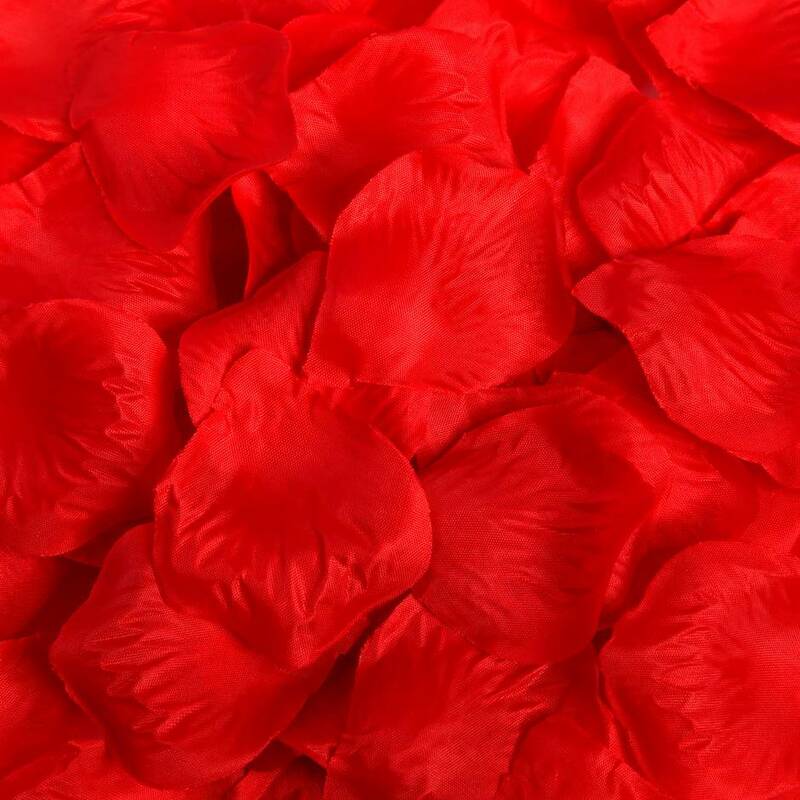 These fabric petals are soft to the touch and arrive in a lovely drawstring bag, making them a perfect gift. Scatter over bed sheets, or lay a trail to guide your lover to your promiscuous pen. Un-scented, why not add your favourite fragrance for added sensory delight? Offrez-vous les meilleurs produits indispensables pour pimenter vos rapports sexuels et consultez nos guides d'achat pour vivre une sexualité épanouie. 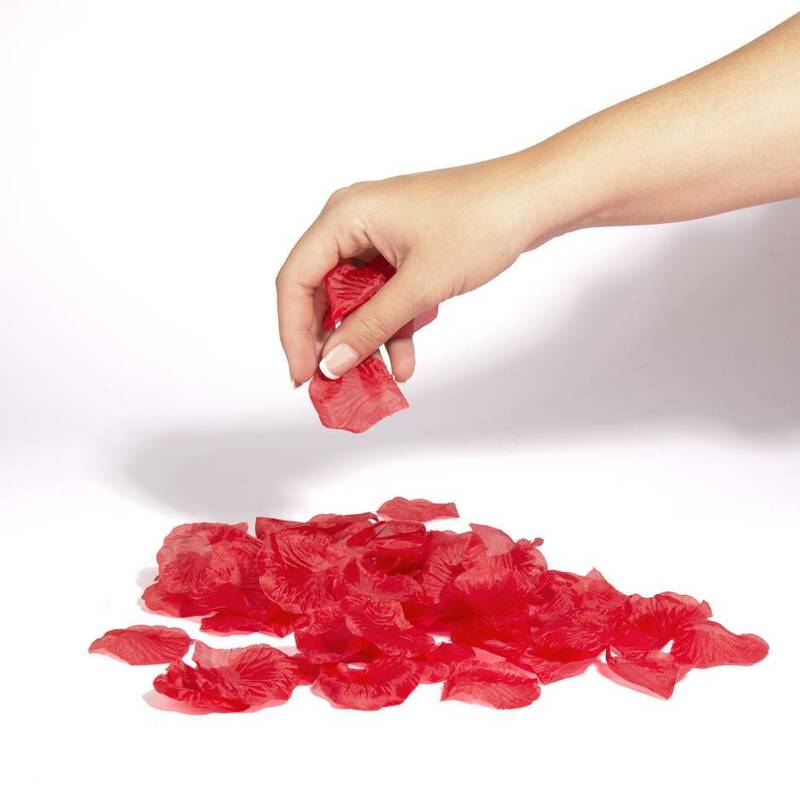 These rose petals really are perfect. They are made of a really soft material that looks insanely realistic. 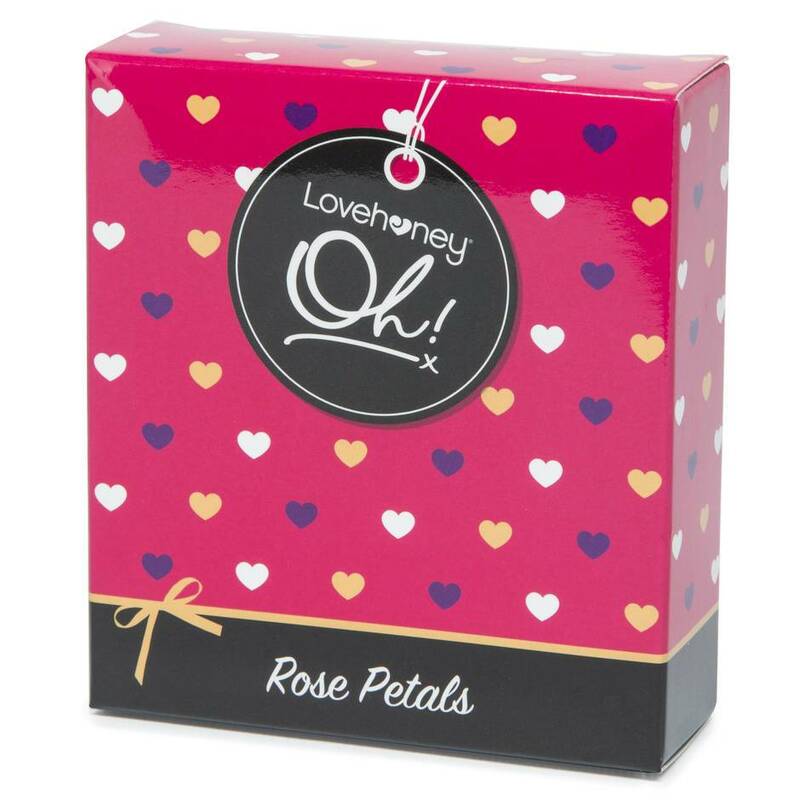 The box has enough petals to cover a large double bed in order to really set a romantic mood! I would not hesitate to reccomend this product... especially as they are now part of the 3 for £15 spend! These petals set a perfect scene with some candles, a glass of wine and some music. It was very romantic as they looked very realistic. A great plus about these was they weren't the itchy material that you find in some plastic accessories, and they were easy enough to bag back up in case you want a second session with them. I bought these to add a little more romance for our anniversary. I laid them all over the bed and added a few candles around the room that I lit just before she got home. She loved them and they helped set the mood perfectly, so much better and cheaper than the real thing. Would definitely buy again in the future. Long-lasting and great value for money.